NDO – The 2019 Hanoi Spring Press Festival officially opened at the Vietnam-Soviet Friendship Labour Cultural Palace on January 25, featuring 25 pavilions by numerous press agencies in the city. The Spring Press Festival has become an important political and cultural event of both the central and local press agencies in the capital. The publications, including magazines, printed and pictorial editions, audio and television products and online newspapers, are presented vividly with diverse contents. They highlight the outstanding achievements of the country and the capital in all fields: economics, politics, society, security, defence, culture and external affairs, as well as forecasts and orientations for 2019. 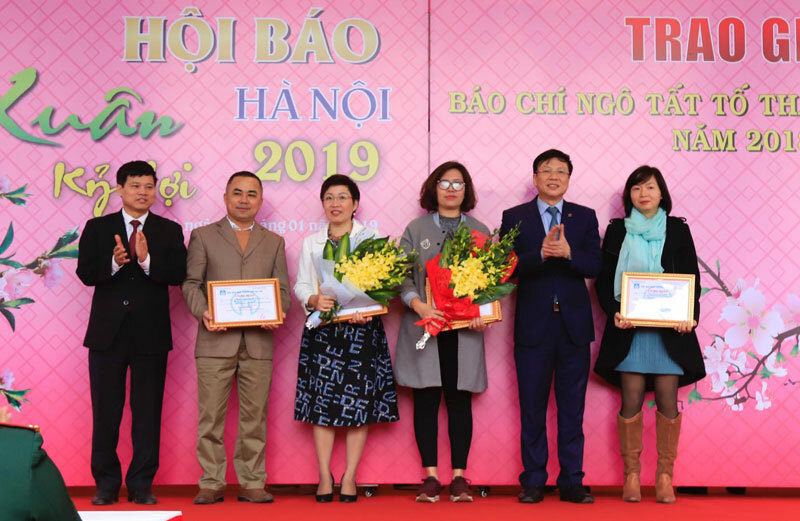 At the opening ceremony, the Hanoi Journalists’ Association presented 2018 Ngo Tat To Press Awards to the most outstanding journalists, including two first, three second, four third and 20 consolation prizes. The two-day event offers a good opportunity for the central and capital press agencies to meet and review their development over the past year.